“Umaimon Koshien” is the most delicious food competition for high school in Japan which is the 6th event in this year. 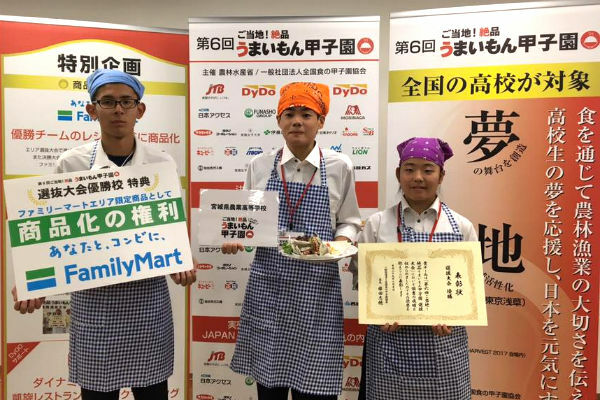 Three high school students of Miyagi Agricultural high school in Miyagi prefecture took the first prize. As a special program of Umaimon Koshien, the students come to Honolulu “Shirokiya” and release the menu in a limited quantity. It sounds yummy!! Please visit and try it! !